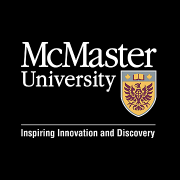 McMaster University is a public research university whose main campus is located in Hamilton, Ontario, Canada. Finance For Everyone: Value via Coursera 4 weeks long 4 weeks long 29th Apr, 2019 No reviews yet. Finance for Everyone: Debt via Coursera 4 weeks long 4 weeks long 6th May, 2019 No reviews yet. Finance for Everyone: Markets via Coursera 4 weeks long 4 weeks long 13th May, 2019 No reviews yet. Finance for Everyone Capstone Project via Coursera 8 weeks long 8 weeks long 17th Jun, 2019 No reviews yet.